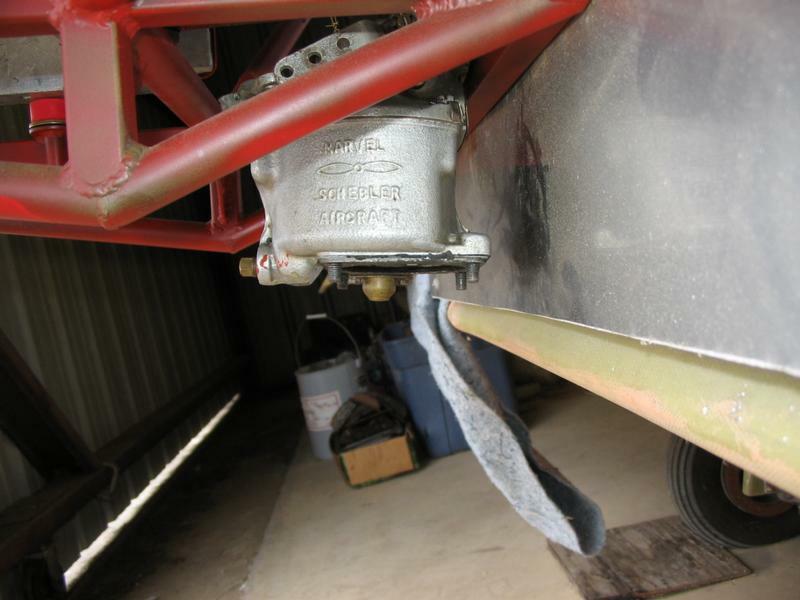 Nate Rambo built this header and then described it in DBFN number 66. 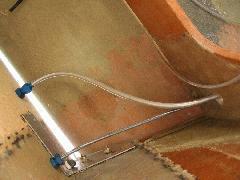 It's pretty close to the one described in the article, but it has 2 vent tubes. 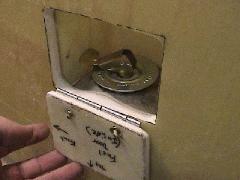 This is an on-off level detector that tells me when the tank is full. 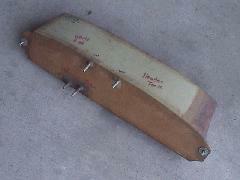 I will wire this to the feeder pump so the pump will not try to overflow the tank when it is already full. 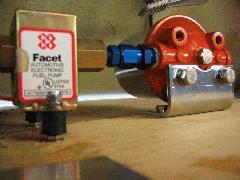 Fram filter and Facet pump with steel braided hoses hooked up. Header tank on left. 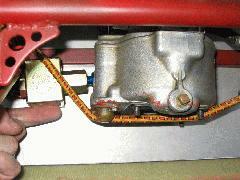 Scott brake cylinder and Strong pitch trim motor also visible at top. 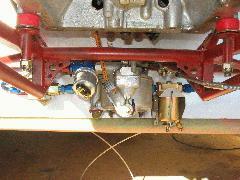 Closeup of Fram HPG-1 with its 3/8NPT male-to-AN male adapter attached to an AN female-to-1/8NPT into the Facet pump. 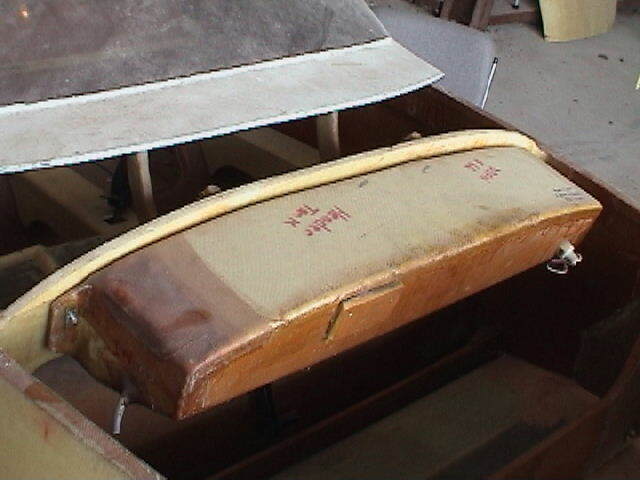 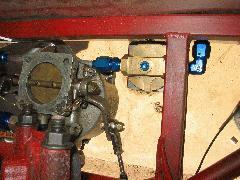 Note rubber vibration mount (from Wicks) of the Facet also positions fittings properly. 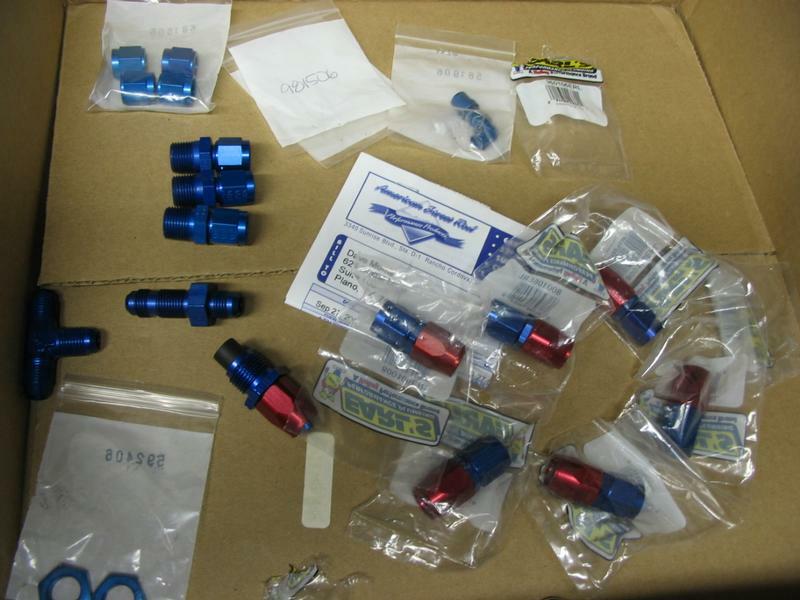 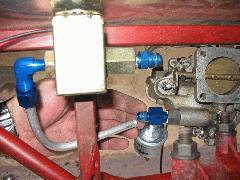 Left to right, Facet pump, fuel pressure sensor, carb, gascolator. 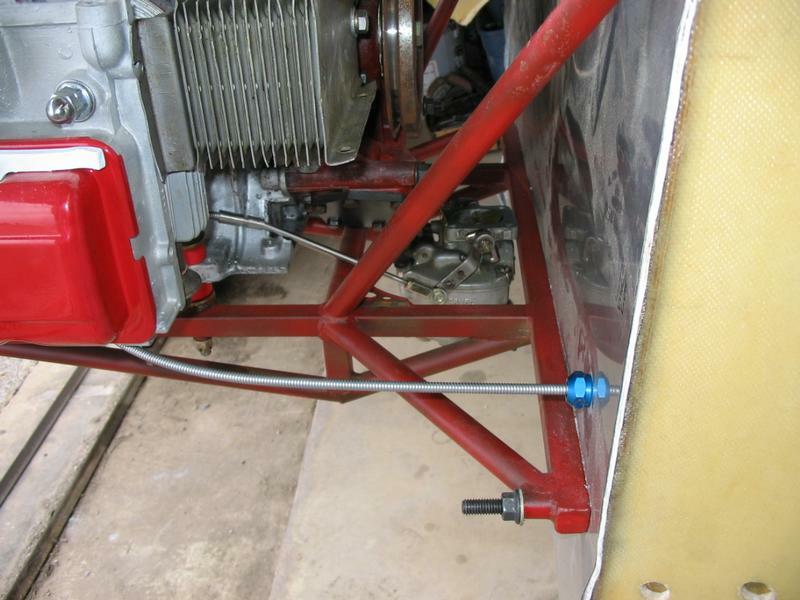 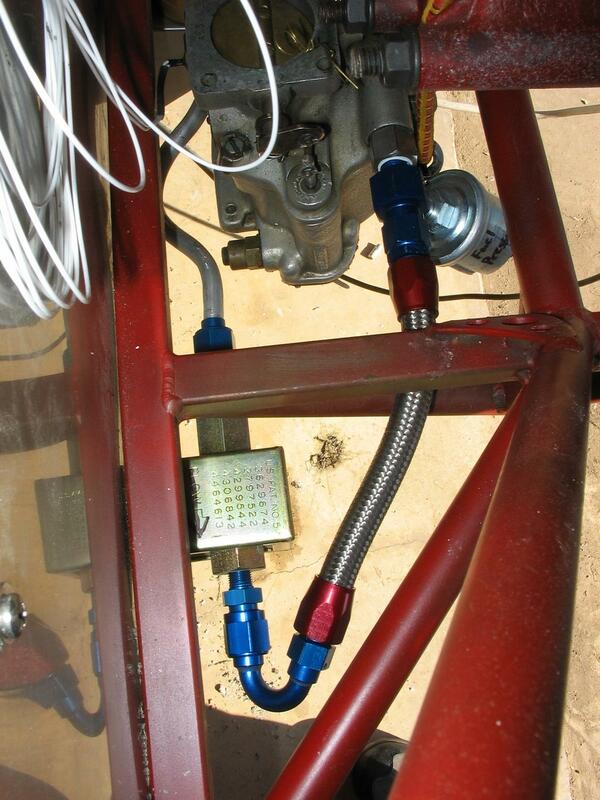 Fuel pump moved above the motor mount rail to make room for exhaust downpipe. 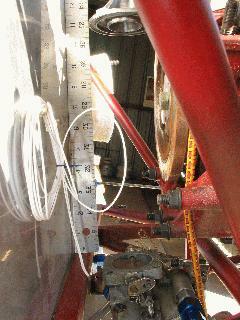 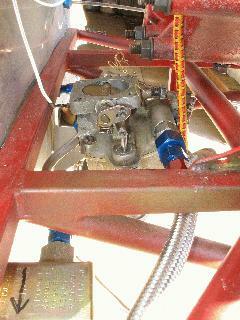 View down onto header showing hose from tank outlet (top right) running to the left to the top of the fuel shutoff valve. 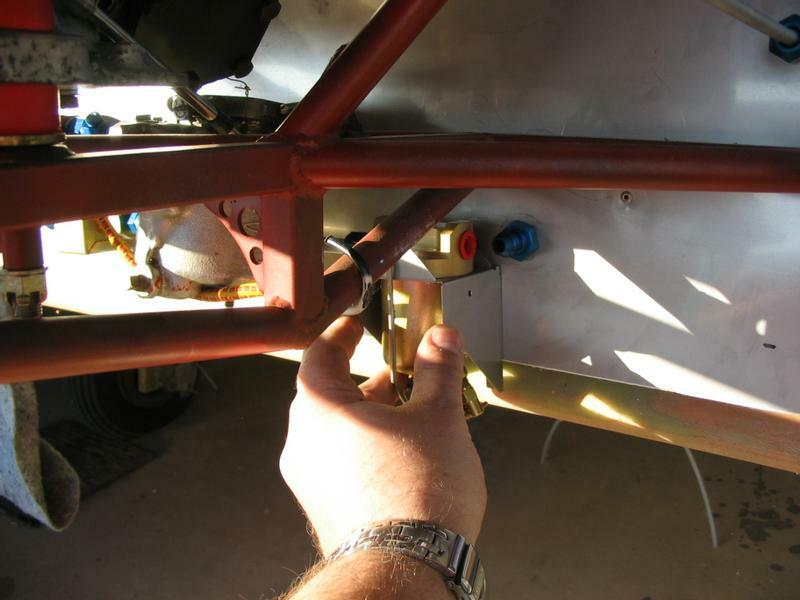 Aluminum hardline visible at left running forward to firewall bulkhead connector. 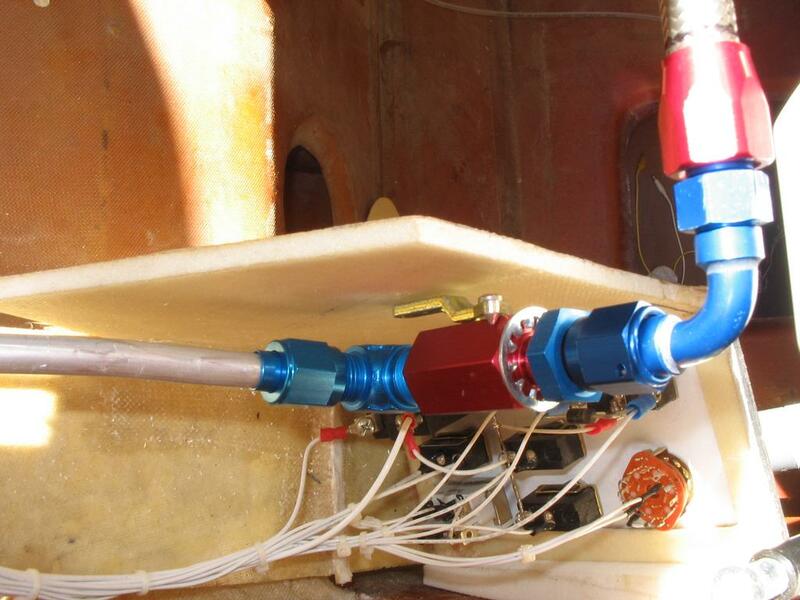 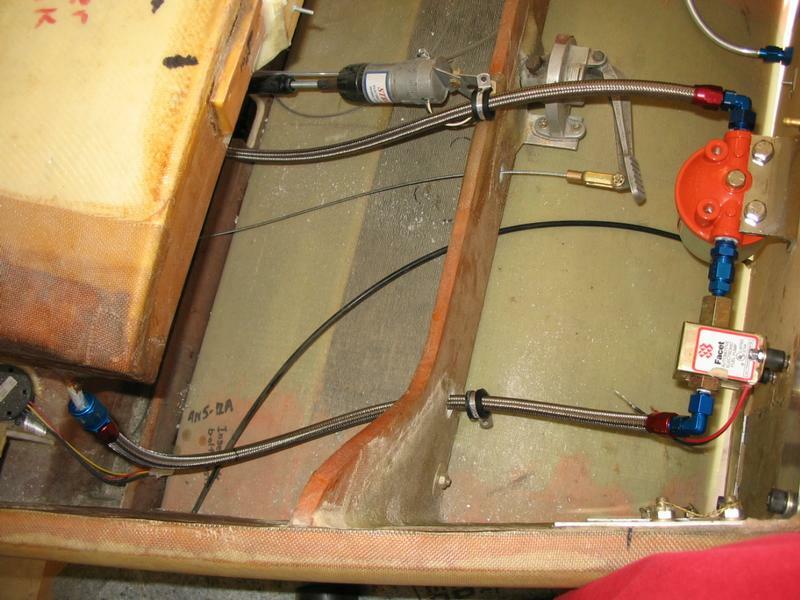 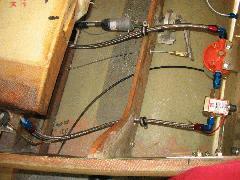 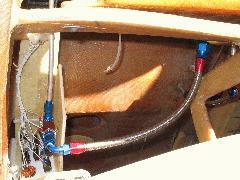 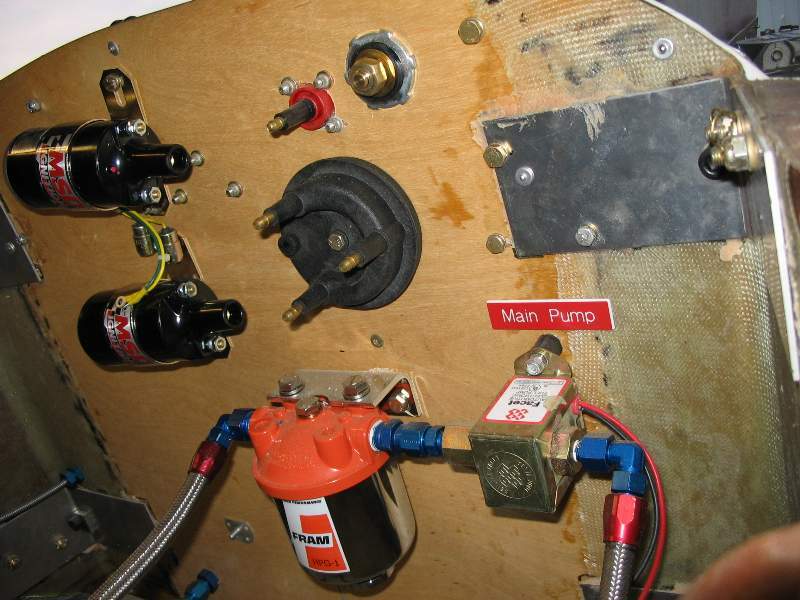 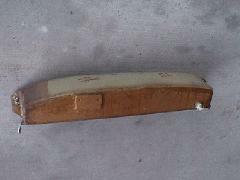 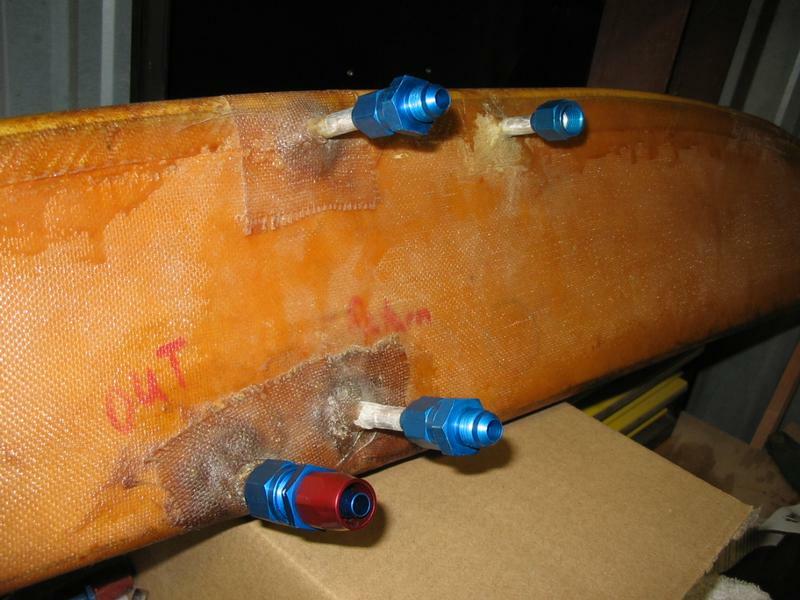 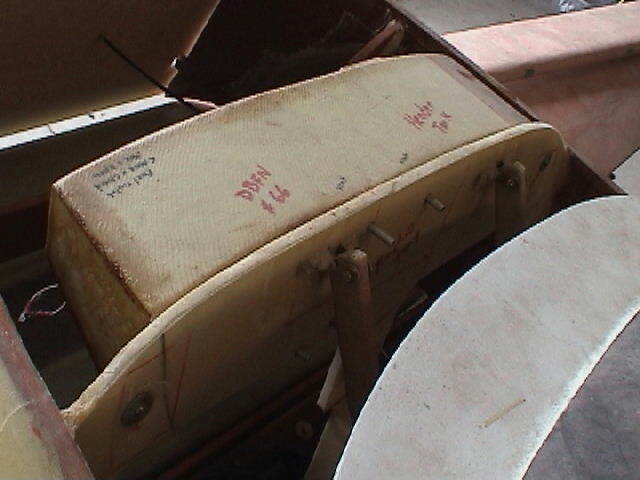 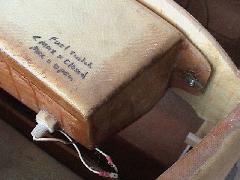 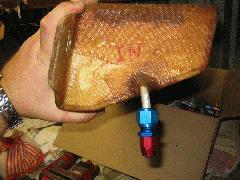 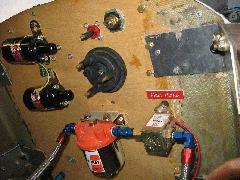 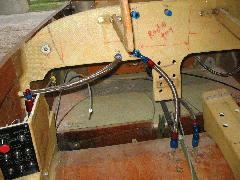 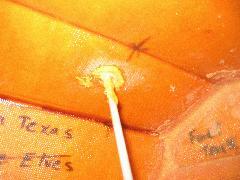 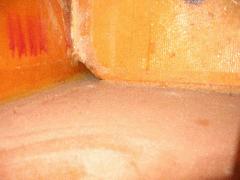 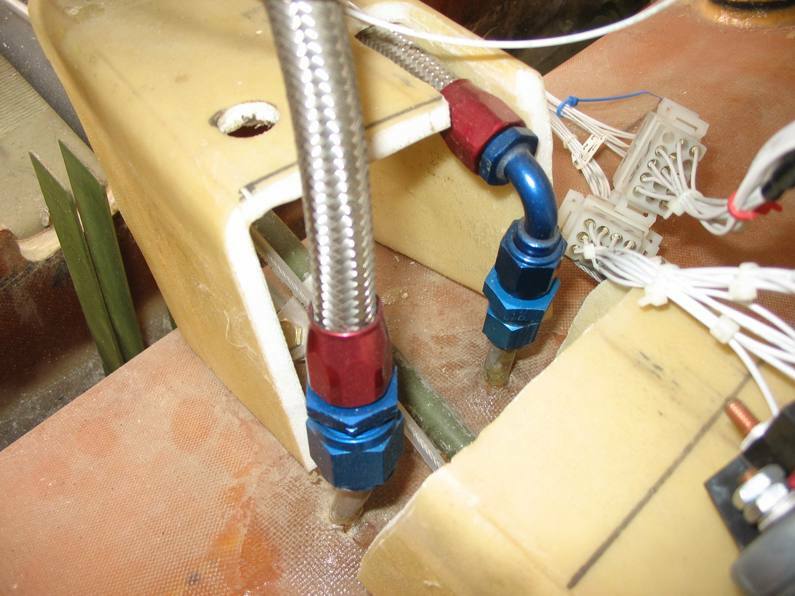 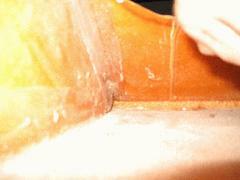 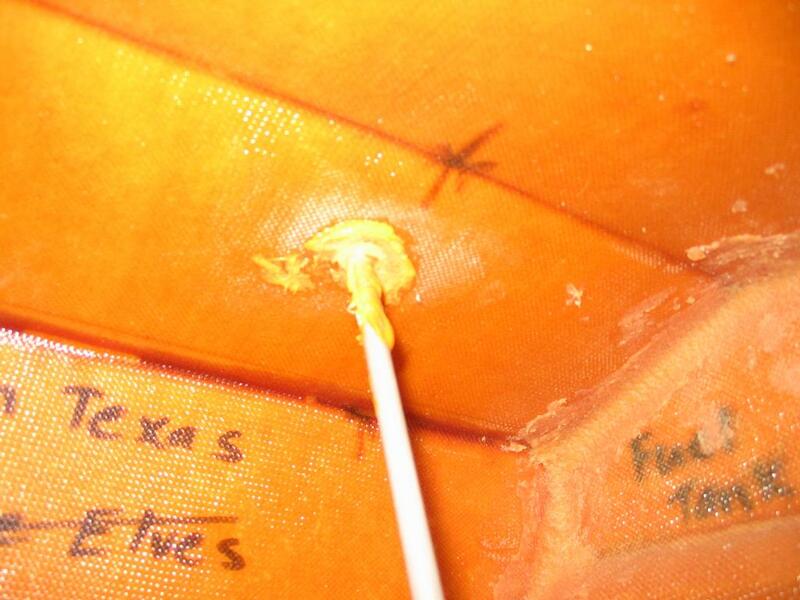 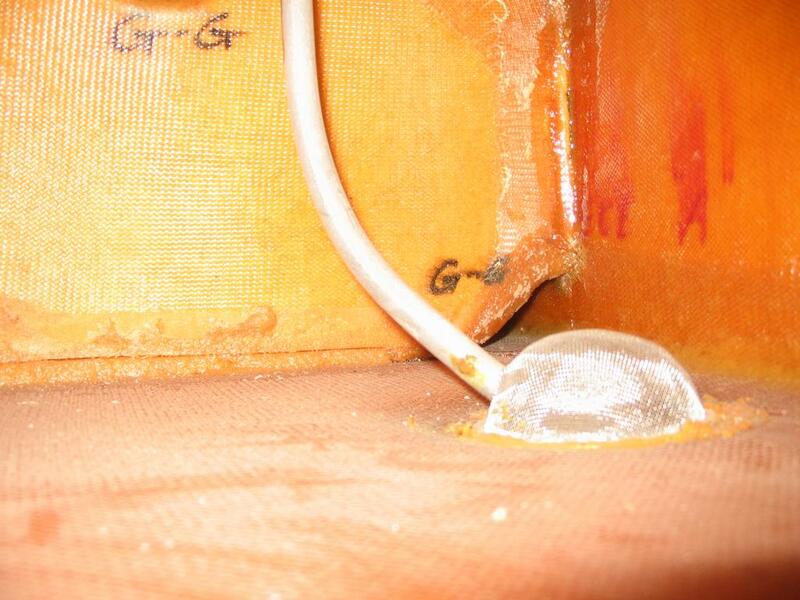 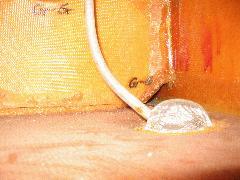 Closeup of fuel shutoff valve before fiberglass compartment has been installed. 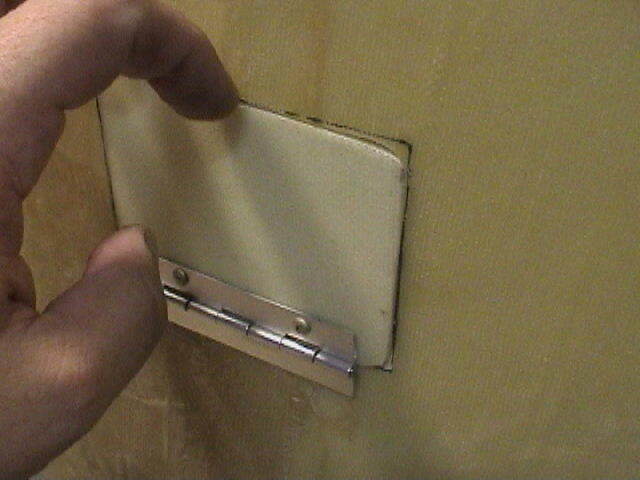 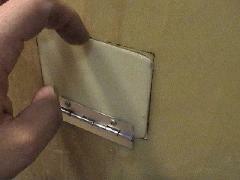 Also there will be a cutout right where the handle is, so you can actually reach the handle! 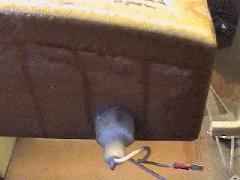 You can see the carb temperature probe at the left, with the white wires coming off it. Also barely visible at right the fuel pressure sensor adapter and VDO sensor between the steel braided hose and the fuel inlet on the carb.